STIRLING HEIGHTS, Mich.—A little way outside of Detroit is the General Motors (GM) Heritage Center, an unassuming warehouse in a neighborhood of unassuming warehouses. 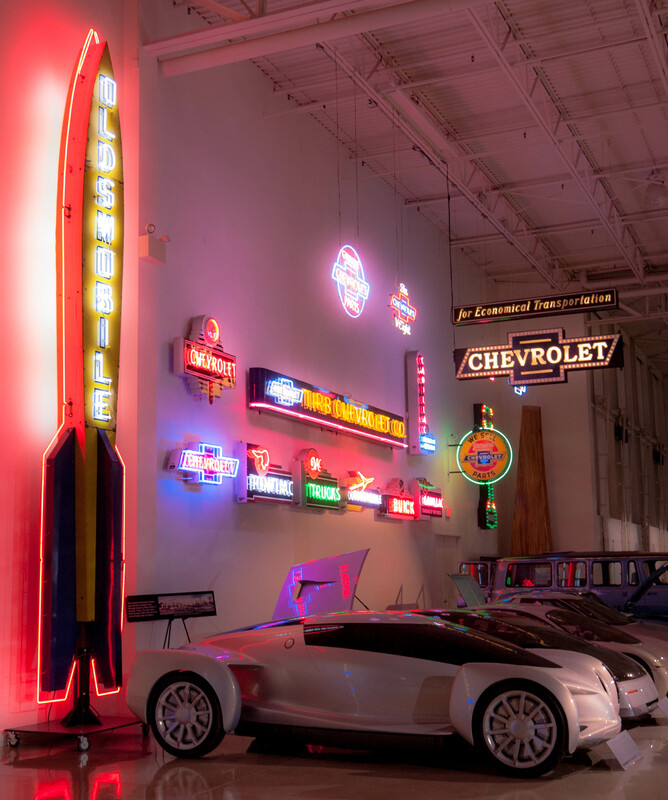 On display inside the Heritage Center are some of GM’s 600 significant cars from its history. Concepts, first-off-the-line models, priceless racing cars, and more. Visits to the collection are by appointment only, but as we were in town this week, the company kindly invited us to come take a look at their history in the metal. What follows is a small sample of the automotive delights on show. Here lurk the alternate energy and fuel efficiency concepts. Not only were we lucky enough to get a couple of hours inside the otherwise-deserted collection, we were also met by Harlan Charles, Corvette’s product manager. Charles graciously spent an hour talking Corvette history and design with us. Of particular interest to Ars were all the mid-engined Corvette prototypes and concepts, as well as the legendary (and stunning) Mako Shark.